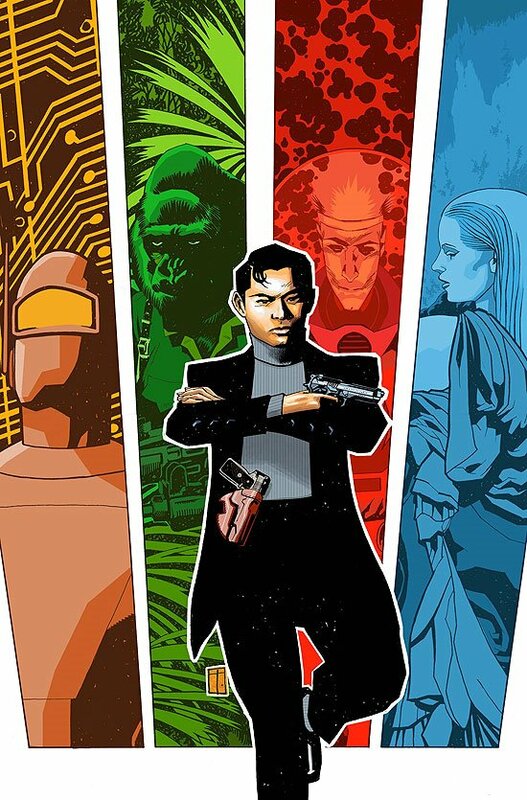 There's an upcoming book, Agents of Atlas, that brings back some of the old charaters from Marvel's days as Atlas Comics. I had been largely ignoring any news about it, but Marvel recently introduced this "scavenger hunt" idea to help promote it. There's a series of clues dropped online by a "Mr. Lao" -- who's evidently an agent of Atlas in some capacity. Those who successfully decipher the clues get "promoted" as Atlas agents themselves. And you know something? With this new promotion, now I'm interested in the book. My thinking is that a marketing program like this is invariably going to take more work and effort on Marvel's part to keep going for any period of time. Creating an ad campaign and just throwing out a lot of press releases and house ads is mostly just a matter of throwing money out to promote something. But if the folks at Marvel are going to spend their time on a program like this -- one that requires more effort over a longer period -- I figure that somebody at Marvel thinks this Agents of Atlas must be pretty good. This is the type of thing we SHOULD be seeing from the small press and indie books -- it's generally a low-cost, community-generating, high-interest approach that is typical of the emotional investment indie creators put into their work. But to see this from a corporate level, that says something to me. Now, obviously, I'm not 100% sold on this yet. The book's not out yet, after all, and I'm not going to fully commit to it until I at least read the first issue. But I'll give Marvel credit for putting forth a lot of effort to see that this book does well.